Many analysts are so positive and belive Europe`s financial crisis is over. ECB`s Precident Mario Draghi started to pump a lot of money into the market and will continue to do that until next year. The Euro has plummeted, trading at 1,07, and many think that this is the bottom. I see different things in my TA. This is deflation, and this is not a growth story like Venezuela which had an inflation rate of 68,5 (!) in December 2014. How is it going on with the buying power in Europe right now? Falling prices is good for the unemployed people in Europe, because their buying power is weak. But how many are unemployed in Europe right now? The unemployment rate in the Euro Area is 11,30, but once again; it`s even worse in some areas in Europe. Worst is Greece with an unemployment rate of 25,70. This is worse than Nigeria (23,90), and South Africa (24,30). Unemployment rate in the U.S is 5,50 right now, and that`s much better than it was a year ago. The unemployment rate in the Euro Area is better than earlier this year (11,40), but it`s still very high and not low enough to claim that the reversal is underway. Again; the numbers are skewed due to Germany`s low unemployment rate of 4,8 percent. Youth unemployment rate in the U.S is 12,3, but what is that compared to Greece or Spain with their 51,2 and 50,7 percent youth unemployment? Can you belive that? More than half of the teenagers at the age of 25 or below is unemployed in Greece and Spain. It`s very expensive for a country to have a lot of unemployed people. Severe austerity measures continue to this day and they are hollowing out Europe`s economic growth. Just take a look at the numbers. Before the Greek crisis flared up, their debt to GDP stood at 113 percent, but today their debt to GDP is amazing 174,9 percent. To compare; Debt to GDP in the U.S is 101,53. In Japan 227,2 to name a few. You can imagine how Europe`s debt is after ECB`s QE program is finnish? All the austerity measures that Europe has implemented have done nothing to reduce debt levels. Instead, they are hurting the people of Europe, and the economic growth is far away from the truth. There is NO evidence Europe`s economy is improving, and when you look at the numbers you know that this is gonna take a long time to recover, and I`m not talking about a few weeks, a couple of months or three. But I know there are a lot of them who belive so. The Euro is trading at 1,07 and its long-term uptrend line is broken and minor cyclical support is declining. If you follow TA, you can see that the Euro can go down to about 0,75. Good news will make the opposite trend. 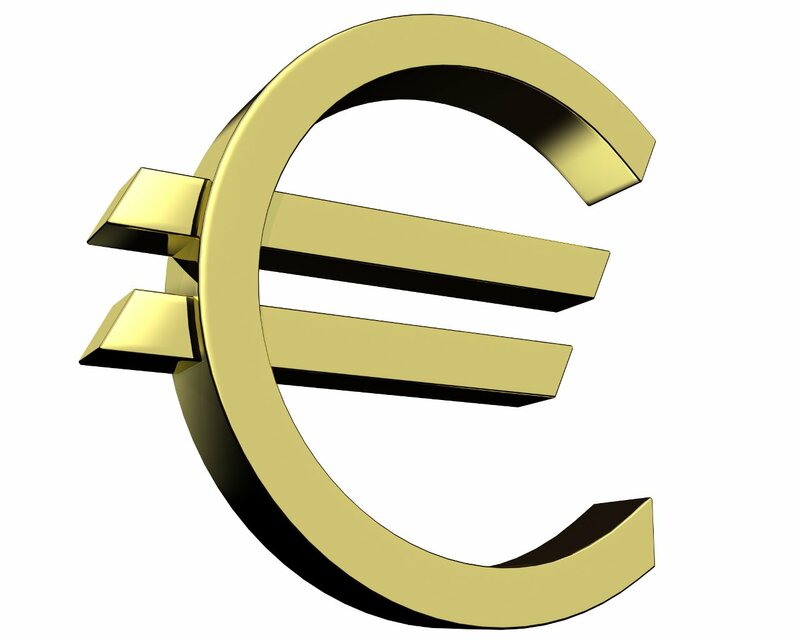 The Euro can go down to 0,35 but I dont`t think it will go that low. It will be complete chaos in Europe once the currency falls back to its 2001 low of 0,80. Analysts at Morgan Stanley say the euro is undervalued by about 20%, and fair value should be about $1,32, they said. The Euro Area is in trouble and Greece is running out of money, and the future of the common currency itself is in peril, because some investors is worried that one member`s exit could trigger an unpredictable unraveling. Analysts at investment bank Morgan Stanley say the euro should be worth $1,59 based on Germany`s strength, and it ought to be $1,09 for Greece. So, Greece is closer to haveing a fair value than Germany. This valuation should trigger the question of who should leave the eurozone. Greece? Germany? Others? The euro has never been less popular with the international community. Bearish bets have reached a record. People hate the euro, and that is not only because the protester Josephine Witt showered Mario Draghi with confetti. Average yield on German government debt fell below zero for the first time today. Lending to Germany for ten years will earn you just 0,088 percent in yield. That`s nothing. Investors will soon be paying for owning a 10-year German bond. Why should you own euros invested in negative-yielding securities when dollars generate positive returns? And how popular will euro be if we face a Grexit? «Without deep economic reform or further relief, S&P expects Greece`s debt, other financial commitments to be unsustainable,» the rating company Standard & Poor`s Corp said. The recovery in the U.S has been slow. Now Europe is next with QE. It didn`t work in Japan. Will it work in Europe?